Home » Articles » Beauty Tips » Hair Care » Hair Loss Tips » Health Info » Health Tips » Healthy Food » Heart Problems » Home Remedies » Super Foods » How To Prevent Unwanted Facial Hair ? How To Prevent Unwanted Facial Hair ? 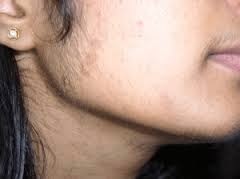 Unwanted facial hair is a huge beauty bummer; it makes you feel embarrassed and therefore women always seek different ways to get rid of these unsightly strays. There are several solutions to prevent facial hair growth available today, some of which are temporary and others permanent. You can resort to any of these methods to remove ugly looking facial hair but make sure to figure out the underlying cause of the growth of facial hair before settling on any treatment option. Some popular ways to ward off the re-growth of those pesky facial hairs include shaving, tweezing, electrolysis and laser. However, except electrolysis, all others solutions are temporary. Tweezing is one of the most commonly used methods of getting rid of those pesky strands on your face and other body parts. In this method, the hair is plucked from the root. This is an ideal solution for removing hair from small areas like chin, eyebrows and upper-lip area. Like everything, tweezing treatment has some cons as well. First of all, it is a time taking process and can’t be turned to for removing unwanted hair on larger body parts like legs, arms etc. Moreover, pulling out the hair can cause irritation of the hair follicles which may lead to scarring. So as a beauty enthusiast, I recommend to avoid tweezing unwanted hair unless you’ve just a few strays that occasionally pop-up. This is another popular method of hair removal and uses the same technique as tweezing wherein the strays are plucked literally from their roots. The only difference is that this technique enables you to remove hair from a larger skin area in one swoop. When it comes to face, waxing is an efficient hair removal technique to wipe away the unwanted hair on the sides of the face as well as the upper lip area. However, it is highly recommended to avoid waxing the chin-area as it tends to be coarser and you can end up with skin irritation. The waxing procedure happens to be quite painful and may prove problematical for darker complexioned beauties, whose skin at times gets irritated and inflamed while waxing. This newest weapon for hair removal is an ideal solution for fair skinned and dark haired people; However, people with dark skin can make the most of this option provided that they get the treatment done from an experienced laser practitioner. But, people with light blonde or white hair are recommended to turn to any other alternative as laser treatment is not very effective for them. Contrary to popular belief, laser hair removal isn’t a lasting solution to unwanted hair. It halts the hair growth for a while, but eventually it begins to regrow. This method is proportionally less expensive and time consuming than electrolysis. You must not forget seeking advice from a dermatologist or any medical professional before getting laser treatment. Electrolysis is often regarded as the one-off way to destroy the cells that are responsible for facial hair growth completely. In this procedure, with the help of a metal probe, an electric shock is given to destroy hair follicles resulting in permanent removal of facial hair. The potential drawbacks of electrolysis is that it is too expensive and it takes four years to stop the hair growth totally. If you opt for electrolysis treatment, make sure to get it done from a professional. These are various ways on how to prevent facial hair growth in women. These are all perfect ways to remove facial hair in women.